Found a series of videos (untranslated) on Youtube (originally from Nico) called Osana Reimu ("child Reimu"). 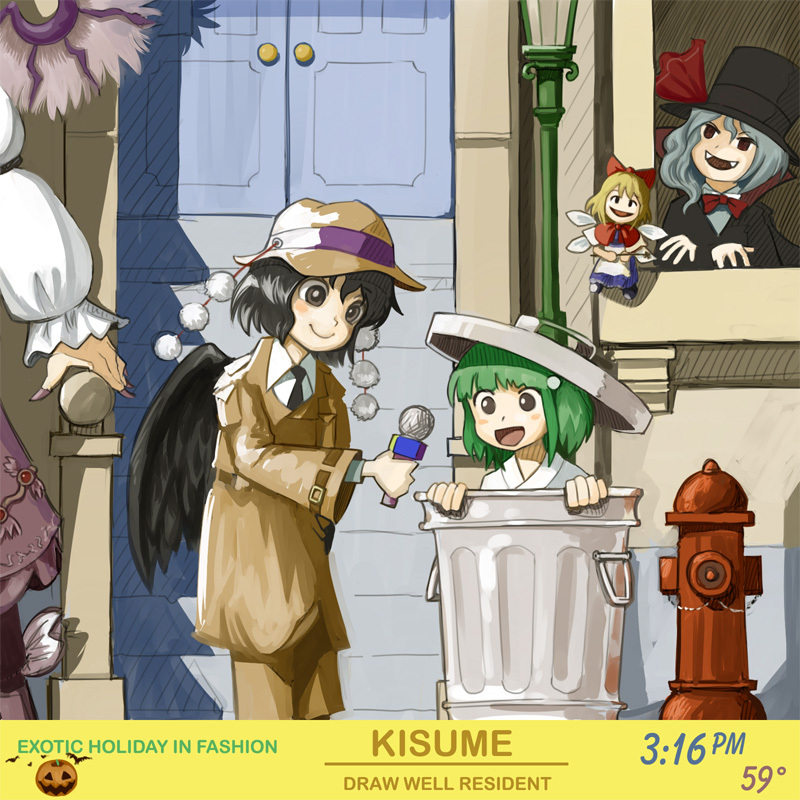 Like the Cirno-nee meme, I wonder what it is about this sort of situation that makes them so interesting and adorable. 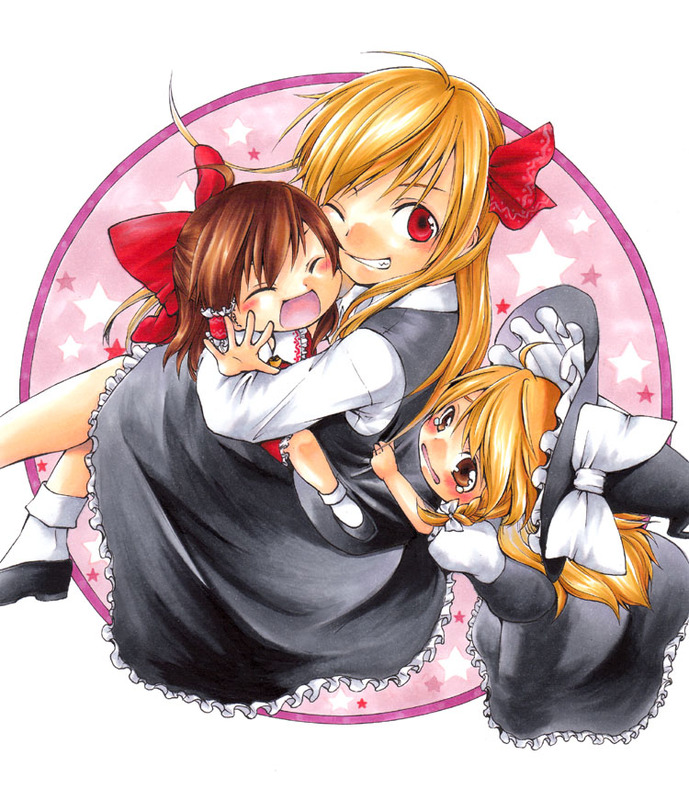 It's reversal of fortune sort of thing; Rumia is usually presented as a cheerful/dumb/violent/bloodthirsty child and Reimu's generally serious. 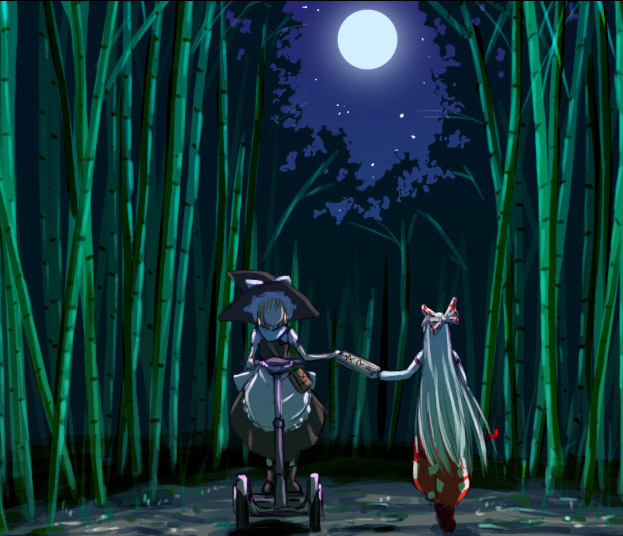 It's usually a cool character that gets turned into a kid and a childish character that gains maturity; this is why Cirno-nee takes care of Sakuya and when the Scarlet Sisters get aged up, Remilia stays pretty much the same while Flandre looks and acts more mature. Huh. 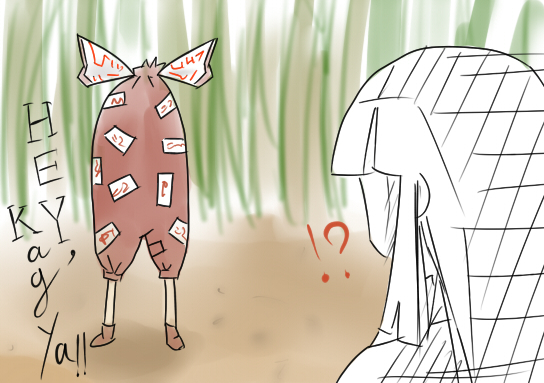 Who's the lady in "Miko Miko" robes with a donation box on her head? An unnamed previous Hakurei priestess? Pretty much; she's labelled as "Mum", so she's probably meant to be the previous Hakurei miko, and Little Reimu's mother. 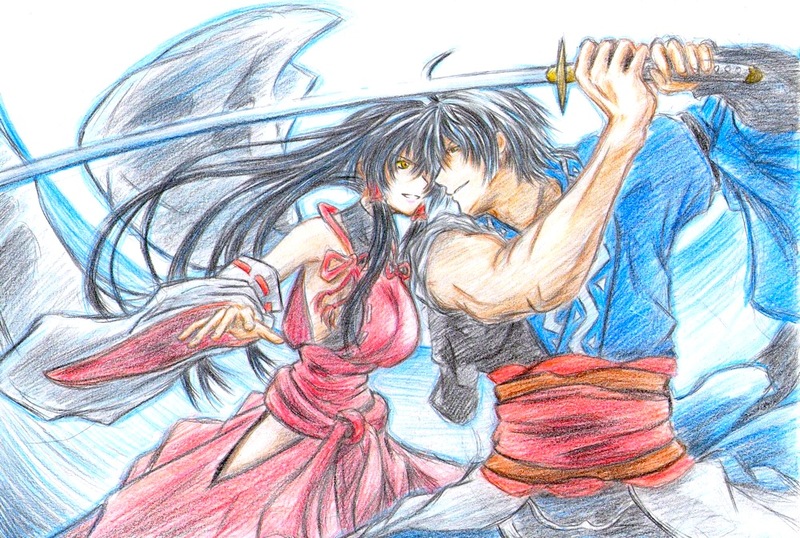 I've always been partial to the Hakurei miko. As one Danbooru commentator put it: "You use bits of paper? 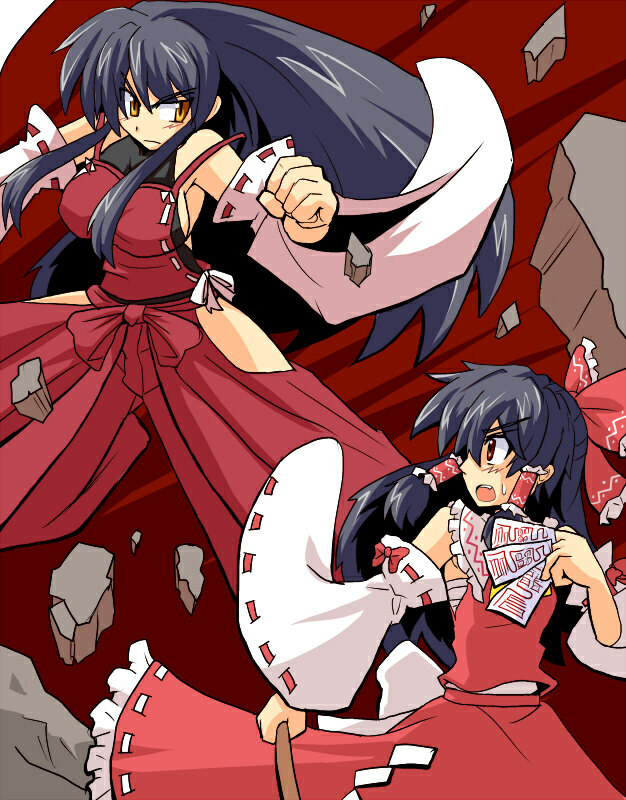 I stopped the youkai with my goddamn FISTS!" Don't tell me this isn't a badass pairing. Too bad she's not canonical. 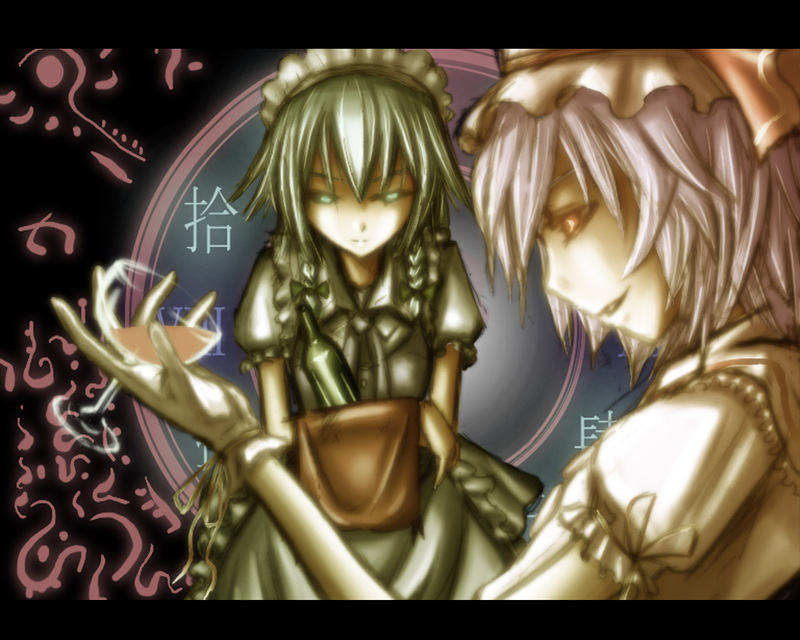 I'm gonna see if I can work out some of the other Touhous this way. I mean, it writes itself. 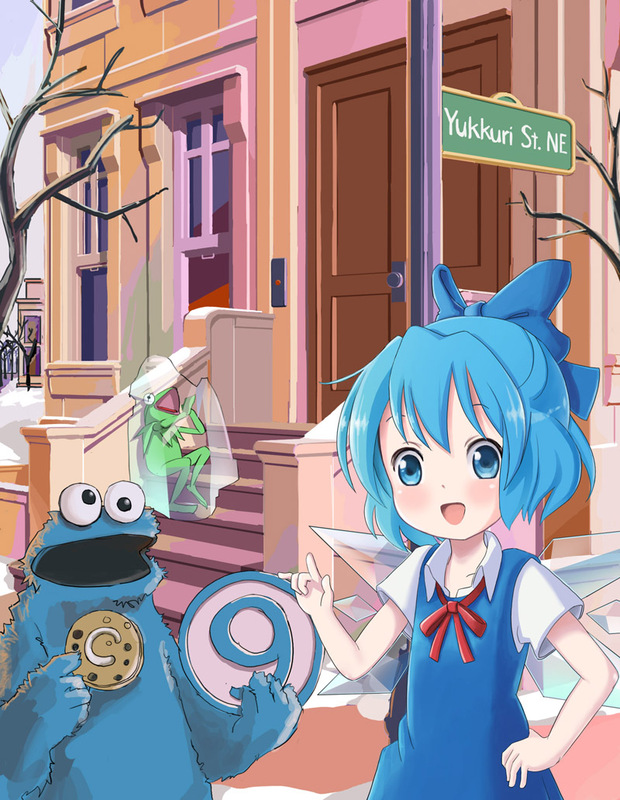 I'm surprised that I can't find any other Rule ⑨ Muppet material out there, because they seem like a perfect crossover, to me. Humans coexisting with Weird Strange Creatures that like to eat things, or blow things up, or eat things and then blow up. And there's music, too. I lost it at the frozen Kermit. Based on a link posted in the comments on Danbooru, I've been watching VeryNezumi's "Test" series of videos. They're... odd. The first three are amusing in the "what am I watching" sense, while the other two are more of "well, it's not like I wanted to be able to sleep tonight". Also, the first three are set to non-Touhou music, while the next two are heavy-techno remixes of their respective games. This isn't actually in the video, but it's by the same artist and it references the video. Sound Test in Touhou - Scarlet Devil Mansion being creepy. Rave-esque flashing-lights warning. 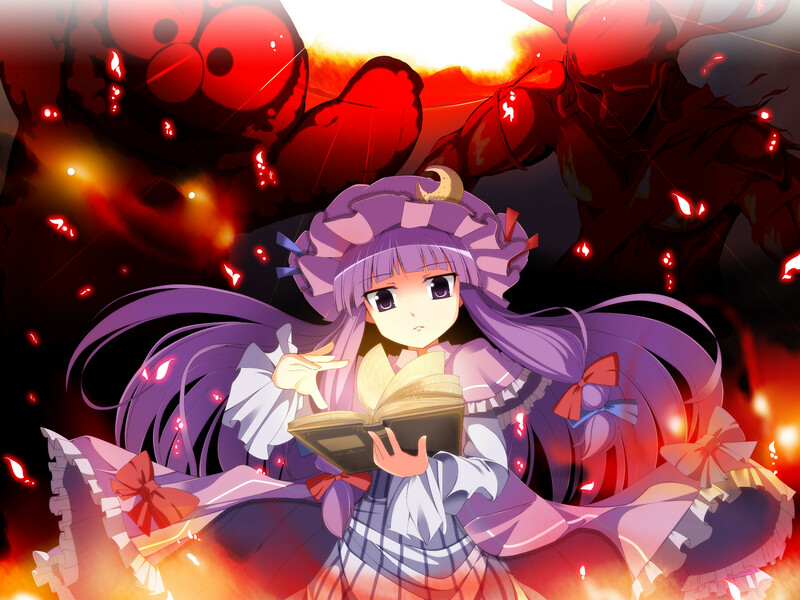 Final Test in Touhou - Perfect Creepy Cherry Blossom. 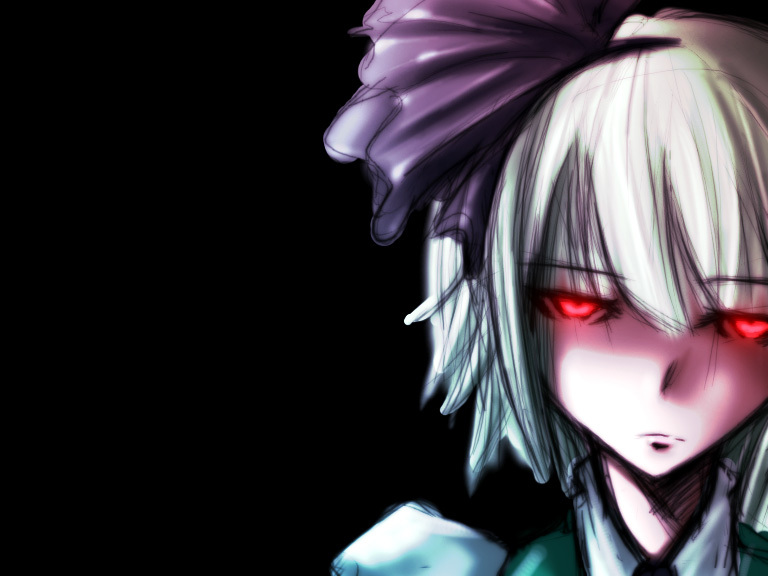 Note that Youmu's focus appearance happens at 4:44. 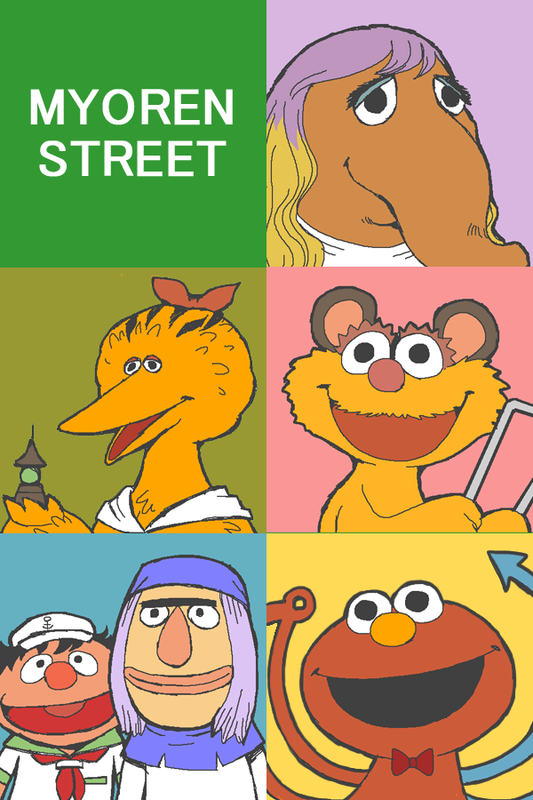 And yeah, Ice Fall'd Kermit. Poor Kermit. It's not easy being green.